With the Oscar buzz everywhere, we here at Change! thought it would be fun to give out an award of our own, to companies wit hthe best leadership and change management strategies, who successfully went through a transformation or a change process, only to prevail. These 5 companies have successfully implemented major strategic initiatives to adapt to changes in the market and in customer preferences, while adjusting to the shifting technological world. In 2004 after the oil crisis that negatively effected Shell’s share price, a new Chairman was put into place, Jeroen Van Der Veer. He believed that in order for the company to survive, structural transformations needed to be made. This is where change management came into effect. The change plan he wanted to in cooperate was a risk at it was to cover the company as a whole; including 80 Shell operating units. Those leading the change had to be highly determined and ensure that all markets and departments stayed on track. From the start, it was recognized that mandating the changes was the only way for them to drive the transformational growth they aimed for. The special nominated team of experts chosen for the job were made up of Senior leaders, implementation consultants and external change experts. This team was extraordinary in driving the new behaviors in order for the needed changes to succeed. Change is always a risk and making sure it isn’t resisted or neglected by team leader. Shells remarkable change plan started and finished with Jeroen Van der Veer and he should be commended on his tremendous implementation. His significant position saved Shell and without his change management techniques and determination the company would not still be striving today! In 2008, Santander wanted to establish a stronghold in the UK banking sector but in order to do so a change had to be implemented. There was a worry that the longer standing financial institutions already had too strong of a legacy to compete with but they didn’t let this hold them back. Santander’s made the risky decision to buy all these traditional financial institutions and unify them under the Santander brand. They needed to bring clarity and efficiency to there plan in order for it to be successful- they all had to be united and connected in the ‘Santander way’. The main focus that was made for the award winning change was the general understanding that had to be enforced was that all the old way was gone and they were embracing a new banking era- revolutionizing banking forever! Not all businesses that implement a change are as organized as Santander were in this case. Everyone was fully briefed and risks and issues were discussed and mitigated. In change management it is important that everyone understands what is going on and how they are going to be effected in order for it to be an easier transition and Santander win the award for the smoothest major change! Congrats to them. There aim of the change to be embraced was met with minimum resistance! Santander is now one of the country’s leading retail banks and one of the largest providers of savings and mortgages. 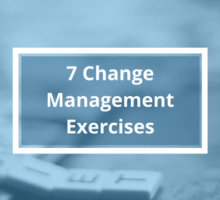 Where would they be now without these change management implementations?? Did you know that Target is one of the largest U.S. discount retailers, but it wasn’t founded with that intention? In 1950 the grandchildren of Dayton’s departments store company founder took the reins and began expanding. It took them 10 years to develop the idea for more upscale mass-market discount store. The concept was not embraced by industry experts who were simply not on the same page. Well, its good that they stuck to there guns anyway. The first location opened 53 years ago and today there are 1,788 locations in the US and 67 in Canada, and Needless to say they were successful in their goal. There change management structures must have been Oscar worthy for there success to be so great! Target Is know worldwide and once again they can be commended for there success. Abercrombie & Fitch is the well known casual wear company which was founded in 1892. In 1990’s the company experienced a change management rebirth, thanks to the CEO Michael Jeffries who reimagined the brand to ‘project an aura of youthful sexuality’. Jeffries wrote a 29-page “Look Book” for the sales staff. Women weren’t allowed to wear makeup or colored nail polish. Most jewelry was forbidden. So were tattoos. Hair had to be natural and preferably long. Men couldn’t have beards or mustaches. The only greeting allowed was: “Hey, what’s going on?” Store managers spent one day a week at their local college campus recruiting kids with the right look. They started with the fraternities, sororities, and sports teams. Managers forwarded photos of potential employees to headquarters for approval. Although such rules brought much criticism we can see how he implemented the changes through out the company and his ideas were shared and implemented successfully throughout the stores. Everyone knows Apple as one of the biggest and most innovative tech companies out there. Yes, Apple was always one of the more successful companies but it wasn’t without there hard work. The well known co-founder Steve Jobs was brought back to the company as an advisor in 1997 to help get it back on track. Not long after this the board of Directors named him interim CEO and in 2000 he dropped the ‘interim’ from his title. Jobs himself was the back bone of of apples reinvention as a mobile technology company- distinguished by iphones, ipads etc. Even though Jobs died in 2011, he left behind a transformed company with the structure and values set in place.